ENZON's ADAGEN (PEG-ADA) GAINS FDA APPROVAL for a form of severe combined immunodeficiency disease (SCID) on March 23. Adagen will be the first Enzon product to reach the market. In a same-day release, the company noted that the drug's approval also "represents a major milestone in the treatment of genetic disease." After a two-year review, FDA approved the enzyme replacement product for treatment of a rare genetic disorder, adenosine deaminase-deficient SCID. Adagen was classified by FDA as a "1A" drug, a new molecular entity representing an important therapeutic gain. In its press release, the agency said that "the enzyme replacement is for patients for whom bone marrow transplant is not feasible or has failed." 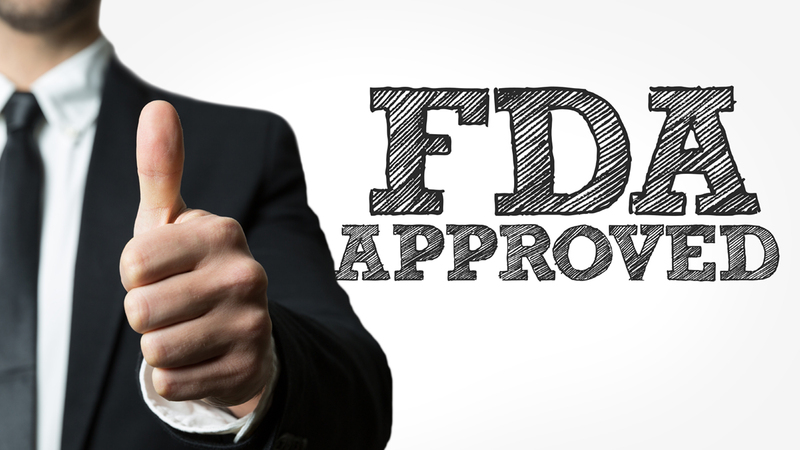 HHS Secretary Sullivan remarked: "There have been many other orphan products approved for larger patient populations, but this is the first approval for a product developed directly as a result of FDA's grant program." The agency noted that "under a grants program begun in 1983, FDA supported the clinical trials of the drug with $169,000." Enzon said that about 40 cases of ADA-deficient SCID are diagnosed annually worldwide. Since these children lack immune defenses, they cannot fight infectious diseases, and therefore usually die from infections before they are two years old. An Enzon backgrounder notes that ADA-deficient SCID "accounts for only one-third of all SCID patients," and the incidence of the deficiency is estimated to be "less than one in 1 mil. births." The agency pointed out that "bone marrow transplantation is the only cure for SCID." Enzon noted that Adagen "fills an important gap in the treatment of ADA-deficient SCID" since bone marrow tranplantation "has risks and is not always successful." The firm said that "less than 20% of SCID children have compatible bone marrow donors" and only 30-40% of transplantations are successful. Another treatment used is indirect enzyme replacement by irradiated red blood cell tranfusions, but this provides "only a fraction of the ADA necessary to correct the error," Enzon added. Enzon plans to launch Adagen in 30 to 45 days. The drug will cost approximately $60,000 annually per patient. Adagen is administered weekly through intramuscular injection. However, FDA noted, treatment does not prompt the body to produce the missing enzyme, so patients must remain on the product for the remainder of their lives." So far 13 children have been treated with Adagen, 10 in the U.S. and three in Europe, Enzon said. Six of those children, who were treated "more than six to 12 months generally had fewer infections and complications due to infection than before treatment," FDA's release says. Enzon's NDA was based on results in these six patients, with supporting evidence from the other children. The first patient to receive Adagen is a six-year old girl, who has been taking the drug for more than three years. No significant adverse reactions have been reported among the children. Enzon said that immune function usually shows improvement after one to 12 months of treatment with Adagen. Enzon filed its NDA for Adagen in January 1988; FDA granted orphan drug status to the product in May 1984. Enzon will conduct post-marketing surveillance on the drug in light of the small patient population and the need to follow the effects of long-term therapy. Adagen incorporates the application of Enzon's proprietary Pegnology drug delivery system in which protein-based drugs are coated with the polymer polyethylene glycol (PEG). The company pointed out that enzymes have short circulating lives and repeated injections of them can cause allergic reactions, but added that the polymer extends the circulating life of a enzyme and increases its effectiveness by "camouflaging it from the immune system." Although Enzon does not expect to gain significant revenue from Adagen sales, the drug's approval lends credibility to the Pegnology drug delivery system and should encourage commitment in Enzon's numerous product R&D partnerships. Enzon has other Pegnology-based products in clinicals including PEG-L-asparaginase, which is in Phase III trials for treatment of acute lymphoblastic leukemia. Enzon anticipates that it will file a product license application for PEG-L-asparaginase "shortly." The National Institutes of Health recently received provisional approval of its protocol for its human gene therapy trial for treatment of adenosine deaminase deficiency from the institutional review boards of the National Cancer Institute and the National Heart, Lung and Blood Institute. The protocol can now be reviewed for approval by the Recombinant DNA Committee's (RAC) Human Gene Therapy Subcommittee March 30 and the full RAC on June 1.